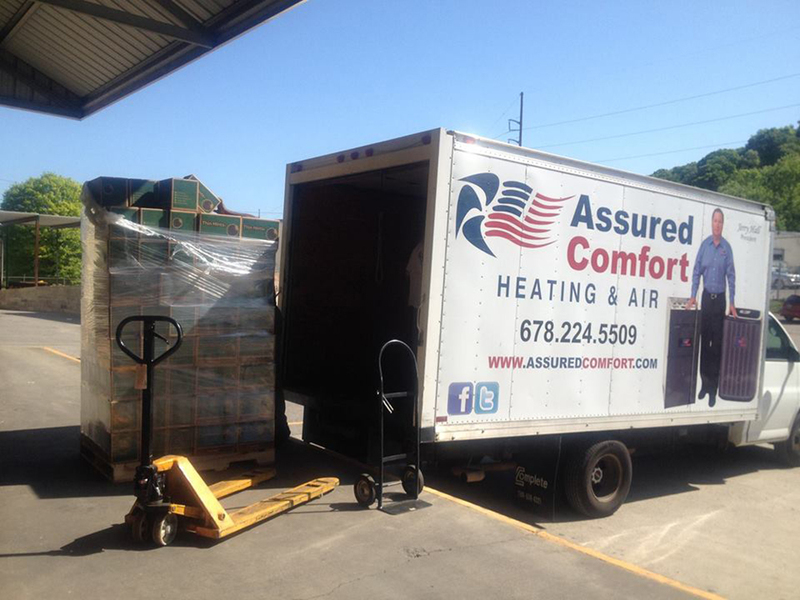 Thanks to the local Georgia business, Assured Comfort Heating and Air, last month's gigantic bulk donations of coffee & cookies were distributed to three VA Hospitals around the state of Georgia: Atlanta VA in Decatur, Carl Vinson VA in Dublin and Charlie Norwood VA in Augusta. Assured Comfort owner Jerry Hall generously foot the bill for both the storage and transportation to get these items into the hands of our veterans! Assured Comfort is a HERO to the HEROES!